Glamping has become one of those increasingly popular travel industry buzzwords over the past few years. Combining the words “glamour” and “camping,” it’s a trend that has taken off as the rise of mass tourism has led more people to embrace the eco-friendly ethos of Responsible Travel. 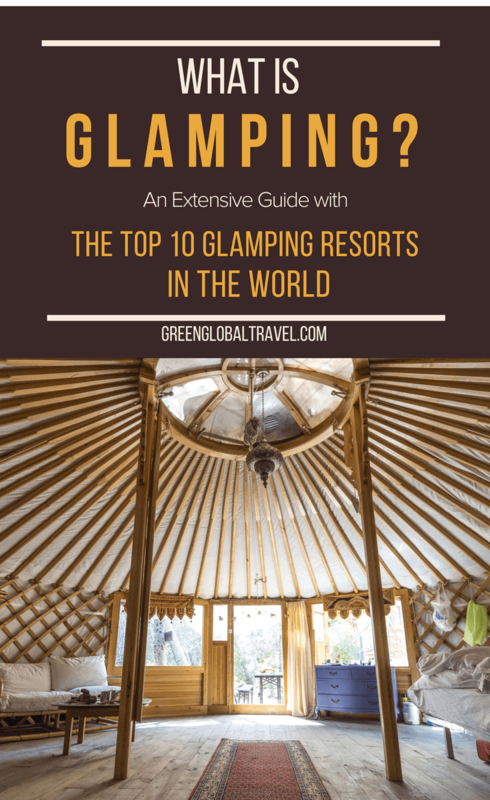 But what is glamping? How does it differ from traditional camping? And why is it becoming such a popular form of travel now? The catchy name might be relatively new, but the concept of glamping (a.k.a. luxury camping) has actually been around for hundreds of years. When Kings Henry VIII of England and Francis I of France met for the diplomatic summit known as the Field of the Cloth of Gold in 1520, there were 2,800 tents set up in northern France. Many were palatial, set with lavish feasts and flowing fountains of wine. Around the same time, the Ottoman sultans were known their ostentatious tents, which were lavishly decorated by an army of artists. The tradition became more common in the early 1900s, when it became fashionable for rich American and European travelers to go on safari in Africa. These wealthy wanderers didn’t want to give up all the creature comforts of home. 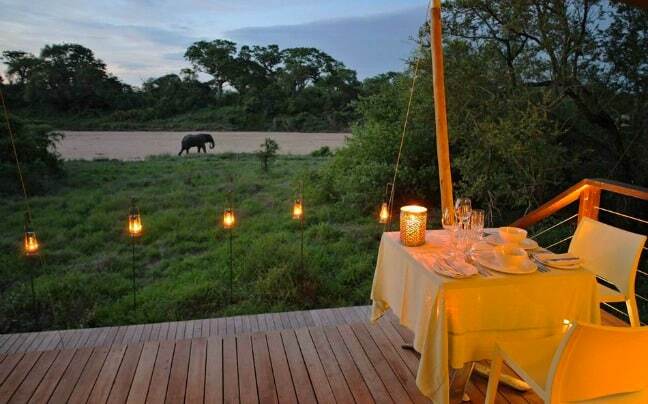 So safari camps began offering upscale options such as beds, en suite bathrooms, private verandas, and gourmet cuisine served atop fine lace tablecloths. 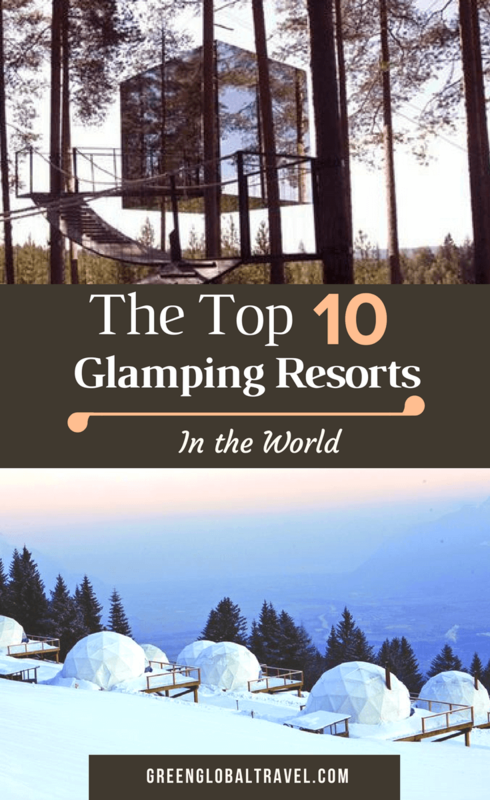 Here we’ll look at the definition of glamping, some of the many different styles of lodging available, and highlight 10 of the best glamping resorts in the world. According to the Oxford Dictionary, glamping is “A form of camping involving accommodation and facilities more luxurious than those associated with traditional camping.” The word was first used in the United Kingdom in 2005, but wasn’t added to the dictionary until 2016. It’s also known by other names, including luxury camping or boutique camping. But regardless of what you call it, the gist is that it offers travelers an opportunity to be out in the wild without having to carry and put up their own tents, sleep on the ground, or stumble to the bathroom in the dark. There are, of course, other major differences between glamping and traditional camping. Most glamping accommodations include beds, electricity, en-suite bathrooms (with showers), resort-style toiletries, coffeemakers, and sometimes even full kitchens. You can still cook s’mores on the open fire, but usually there’s a restaurant on-site serving more upscale cuisine. These days, glamping accommodations have become even more luxuriously lavish, with posh amenities such as flat-screen TVs, pillow-top mattresses, jetted tubs, heated slate floors, and personal butlers available. Glamping tents are arguably the oldest, most traditional type of lodging. If you’ve never seen one in person, safari tents are a far cry from the tiny little pup tents of your Boy Scout/Girl Scout days. They’re usually as big as a hotel room (if not bigger), with space for beds, nightstands, a dresser and more. Many have wood floors, electricity, WiFi, and various other luxury amenities. 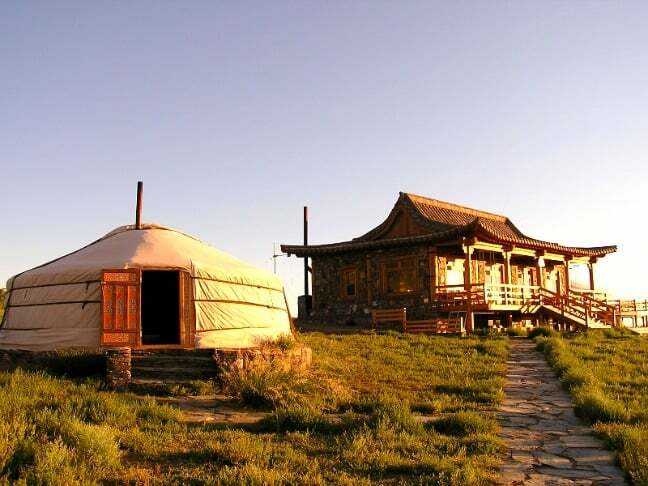 Yurts have been used in Central Asia (particularly in Mongolian culture) for more than 3000 years. Traditional yurts have an expanding wooden circular frame and a cover made from felt, canvas or other material, designed to be set up or broken down quickly. Modern yurts may be much fancier: We stayed in one in Panama that was bigger than my first apartment! 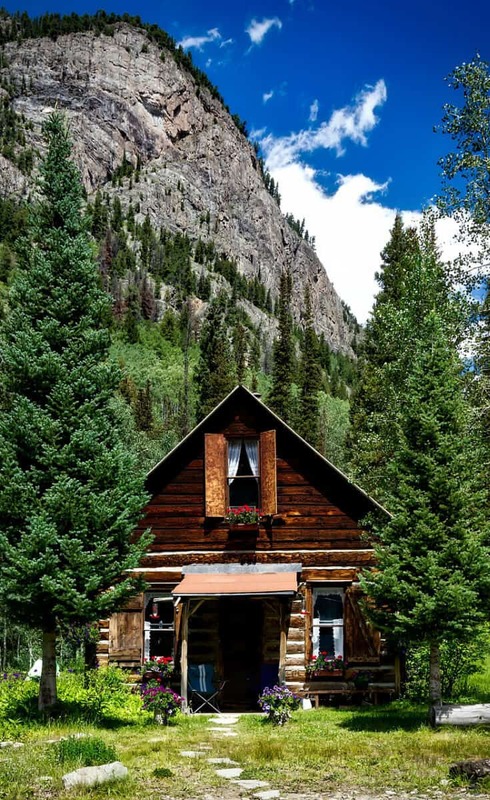 If you’ve ever stayed in state or national parks, chances are you’ve spent some time in a cabin or cottage. Most are cozy, quaint, and surrounded by natural beauty. But of course there are cabins available that are as luxurious as your budget can afford. One advantage of this type of accommodation is that you can usually find options large enough to hold families of any size. Similar to yurts, the tipi (or teepee) is a conical tent primarily used by the nomadic Native American tribes of the Great Plains. They’re traditionally constructed of animal skins and wooden poles, with two adjustable smoke flaps that allow for making campfires inside. The deceptively simple construction makes tipis warm in winter, cool in summer, dry during heavy rains, and easily transportable. With the success of TV shows like Treehouse Masters, this childhood favorite has grown increasingly popular for grown-ups. When done well, treehouses offer an incredible sense of immersing yourself in nature while minimizing your negative impact on the environment. Plus, sleeping up in a tree surrounded by forest is just really cool, no matter how old you are! Thanks to the rapidly growing “tiny house” trend, more and more people are finding ways to maximize the benefits of minimalism. Cubes and pods are one result: They’re quick and relatively easy to assemble, affordable don’t take up much space, and provide a sense of immersion in the environment. We saw lots of these on AirBnB during our recent trip to Scotland’s Isle of Skye. I grew up spending a good portion of my summers in a 2-bedroom trailer overlooking Georgia’s Lake Hartwell. That sense of nostalgia, combined with their inherent portability, has likely contributed to the rising popularity of Airstreams and trailers in the glamping community. We saw a lot of these available for rent (fairly cheaply) in Scotland as well. One of the newest types of Glamping lodging, geodesic domes were patented in 1954 by American architect Buckminster Fuller. The engineering of the dome makes it extremely strong and stable, allowing for the greatest volume of space within the least surface area. This makes Geodomes a great option for housing in places with extremely high winds, such as Chilean Patagonia and Arctic Finland. From the wilds of Australia and New Zealand to the Wild West of the U.S., wagons seem to evoke imagery of early frontier exploration. In the UK and France, shepherd’s huts were used for some five centuries. So perhaps it’s no surprise that the back-to-the-land Glamping movement has adopted these two traditional structures as an innovative approach to low-impact accommodation. You know the old Field of Dreams quote, “If you build it, they will come”? That seems especially true in the Glamping world, where the more unusual the accommodation, the better. Recent years have seen lodging opportunities becoming available in caves, underwater pods, ice hotels, and reconfigured planes, trains, and automobiles. What will they think of next? With 30+ properties in 20 different countries, Aman Resorts is renowned for remote luxury in some of the planet’s most picturesque places. 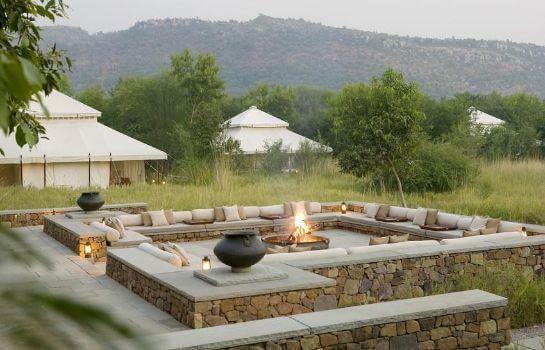 Aman-i-Khas, which is located on the border of the world-famous Ranthambore National Park (just outside Jaipur), is a perfect case in point. The intimate resort features 10 massive Mughal-style luxury tents, each with 20-foot canopy ceilings, air conditioning, classic furnishings, and stand-alone shower and tub. There’s also a communal-style dining tent, with a daily menu features seasonal ingredients from the camp’s organic garden. When you’re not lounging in the camp’s luxury, incredible eco-adventures await. Ranthambore National Park is arguably the best place in the world to see Tigers in the wild. It’s also home to a diverse array of other wildlife, including Leopards, Caracal, Sloth Bears, Spotted and Sambar Deer, Nilgai and Indian Gazelle, Golden Jackal, Striped Hyena, Pangolin, Honey Badger, and more. 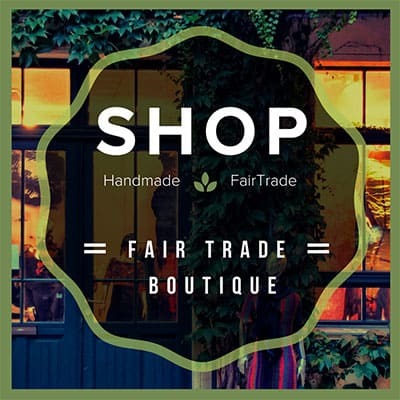 If that’s not enough, they also offer Ayurvedic and Reiki treatments at their spa, outdoor yoga classes, and tours of nearby landmarks including the Ranthambore and Khandar Forts. An ode to turn-of-the-century-style glamping luxury, this tented safari camp on Vancouver Island, British Columbia is a model of eco-friendly indulgence. Guests arrive via floatplane to a camp set on the edge of the Clayoquot Sound Biosphere Reserve (a designated UNESCO World Heritage Site). 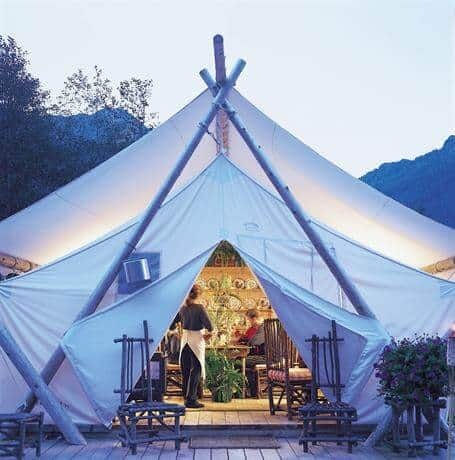 The camp offers 25 white canvas prospector tents for guests, as well as two dining tents, a games tent, activity and billiards tents, log Cookhouse, and a gorgeous glass waterfront lounge. There are two cozy outdoor lounges, with overstuffed couches and chairs surrounding a massive double-sided dry-stack fireplace. For the ultimate R&R, their Healing Grounds Spa offers yoga, wellness and spa treatments in serene, pristine settings. The resort works closely with the Ahousaht First Nation people to provide incredible access to the Clayoquot Sound Reserve. So the wildlife watching opportunities are out of this world. Black Bear sightings are virtually guaranteed as they munch on greens and seafood along the estuary. Whale-watching tours in Zodiacs get you crazy close to Gray, Humpback, and/or Killer Whales (Orca). Other available activities include fishing, horseback riding, hiking, kayaking, surfing, rapelling, rock climbing, and more. Nestled in the heart of Torres del Paine National Park, this sustainable eco-resort offers luxury glamping amidst some of the most stunning scenery Chile has to offer. 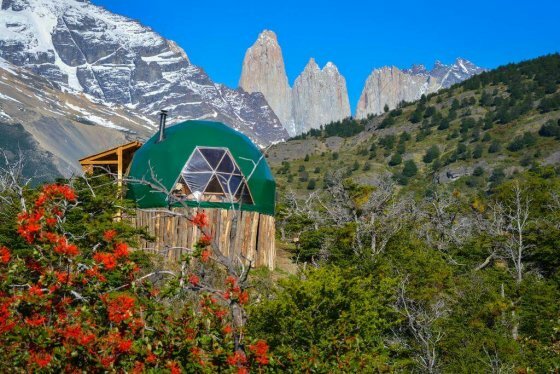 The world’s very first geodesic dome hotel (opened in 2001), EcoCamp Patagonia was recently voted one of the best hotels in the world by Travel + Leisure. There are 25 rooms at the lodge, ranging in size from 108 square feet for the Standard Dome to 398 square feet for their 2-level Suite Dome Loft. The budget-friendly Standard Domes have shared bathrooms. But all other accommodation levels feature heating (via wood-burning stoves), private bath, and open terraces that provide stunning views of the dramatic Torres del Paine landscape. Other amenities include a Yoga Dome, offering twice-daily group classes in Hatha and Kundalini yoga as well as private lessons. There’s a series of four inter-connected Community Domes that offer a serene setting for dining, drinking, reading, and relaxing. And the outdoor patio is perfect for soaking up the sumptuous sunsets, and savoring a Patagonian barbecue. But the best part of EcoCamp Patagonia is its proximity to the best Torres del Paine has to offer. They have an array of activities, from trekking the famed W Circuit and multi-sport (hiking, biking, kayaking, horseback riding) tours to watching for wildlife such as Guanacos (Patagonian llama), Pumas, and the rare Andean Condor. Located on a small archipelago of 14 private islands about 30-40 minutes by boat off Panama’s southern coast, Islas Secas Resort is as exclusive as it is remote. Fortunately, a 1-hour private plane flight from Panama City makes getting there a breeze. The resort started out as a luxury fishing camp, attracting avid anglers. But in recent years they’ve focused more on attracting couples and ecotourists looking to get away from it all. Currently in the middle of a massive renovation and expansion project, the resort is switching from its original yurt-style accommodations to casitas ranging in size from one to four bedrooms. Each feels like its own private slice of paradise, with a plunge pool, thatch-roof Bohio (including a hammock), and outdoor showers surrounded by lush tropical gardens. Our Casita Grande was nestled amongst the trees at the top of a hill overlooking the bay, with exceptional views and friendly Iguanas lazing about. The choices for activities are endless, from fishing for Yellowfin Tuna near the Hannibal Shelf and Scuba diving in Coiba National Park to spending a day alone on your own private island. With top-notch cuisine and jaw-dropping sunset views, this is glamping at its most romantic. Located on the banks of the Timbavati River, &Beyond’s remote tented safari camp offers the ultimate upscale African escape. It’s in the heart of the Ngala Private Game Reserve, and just 3 kilometers from the Orpen gate of Kruger National Park. A perfect blend of classic and contemporary, their nine sophisticated suites were constructed to create the lightest possible ecological footprint. But this is hardly “roughing it.” Each one features gorgeous décor, screens and ceiling fans to create a breeze, oversized bathtubs, outdoor showers, and private porches from which you can watch wildlife drinking from the river. Wildlife lovers will adore the daytime and nighttime game drives, which offer the classic Big 5 safari experience without the crowds you’ll encounter at Kruger. The drives and bush walks are led by expert Shangaan trackers and rangers, whose knowledge of the local flora and fauna leads to exceptional sightings (and photo opps). 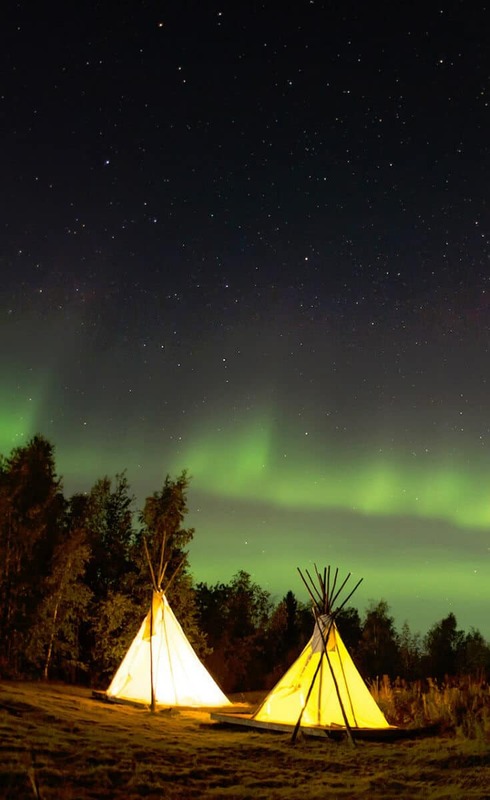 At night you’ll return to the beautifully designed camp, which blends traditional and contemporary influences in the most stunning natural setting you can imagine. Whether you’re dining by the pool or having a banquet in the bush, their scrumptious Pan-African cuisine will provide a memorable way to end each incredible day. The American West continues to fascinate because it’s one of the last parts of the United States that remains truly wild. 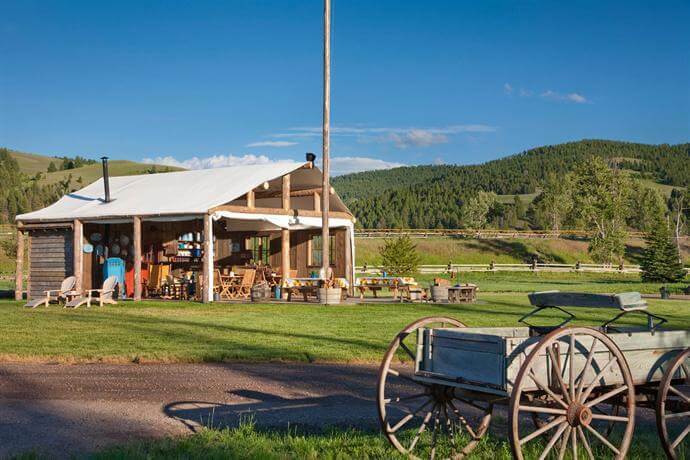 This all-inclusive glamping resort in Montana, which received a 5-star rating from Forbes Travel Guide in 2014, offers a great chance to live out your fondest Wild West fantasies. Situated between the Pintler and Sapphire mountain ranges, the 6,600-acre dude ranch features spacious tents and cabins with iconic Western themes. Each room offers modern touches ranging from iPod docking stations slippers and WiFi access to luxury toiletries and a refrigerator. In terms of amenities, the Ranch includes a fitness centre, Jacuzzi, outdoor swimming pool, sauna, spa and even a bowling alley. There’s also a 5-star restaurant and bar where guests can unwind after a long day of outdoor activities. During the day, there are plenty of adventures to keep guests of all ages, abilities, and interests busy. Options include horseback riding, fly fishing, archery, ropes courses, photography workshops, hiking, naturalist classes, mountain biking, geocaching, and more. There are also stagecoach rides, rodeos, shooting sports, and plenty of other western-style action. Located in the heart of the Gobi Desert and recommended by Travel Channel, this sustainable eco-resort blends traditional Mongolian hospitality with modern sophistication. Their 40 Deluxe Gers (a.k.a. yurts) are handmade using a latticed wood construction and covered with layers of felt and canvas for warmth. Each includes a wood stove for heating, hand-painted beds, custom furnishings, and a private bathroom equipped with a toilet, sink and shower. Handmade toiletries and camel milk lotions, Mongolian felt slippers and bathrobes add a nice touch of locally-made luxury. In keeping with Mongolian tradition, each ger has a southward-facing entrance that provides stunning views of the desert landscape and the Gobi-Altai Mountains. Most of the resort’s staff was raised in the Gobi. They make great guides for local excursions that include ancient petroglyphs, the fossils at Flaming Cliffs, and the habitat of the elusive Snow Leopard. Looking for a taste of the Australian Outback that also puts you on the edge of one of the world’s most stunning coral reef systems? This exclusive, safari-style camp features 16 upscale wilderness tents nestled among the gorgeous white sand dunes of one of Australia’s best national parks. Nature lovers will find plenty to do here. 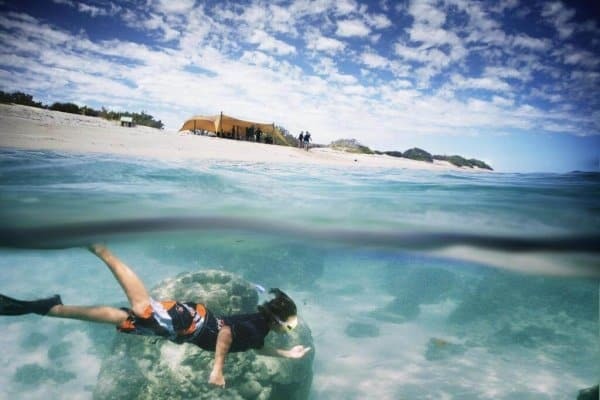 Ningaloo Reef is widely considered one of the best fringing coastal reef systems for snorkeling and kayaking, with some 500 species of fish and over 250 species of coral. Just beyond its edges, you’ll have a chance to spot (or swim with) giants of the Indian Ocean, including Dolphins, Humpback Whales, Orcas, Manta Rays, and Whale Sharks. In Cape Range National Park, you can explore rugged outback landscapes with the camp’s expert naturalist guides. Day hikes afford excellent opportunities to see a diverse range of wildlife. Commonly sighted species include Echidnas, Goannas, Red Kangaroos, Rock Wallabies, Wallaroos, and around 100 colorful bird species. The entire experience is designed to minimize visitor impact on the pristine environment. Sal Salis’ eco-friendly amenities including en suite composting toilets, native herb soaps, eco-friendly toiletries, and locally-sourced cuisine serving in an outdoor dining area that affords stunning views of the sunset. Ever dreamed of staying in a luxurious treehouse? Located near the Lule River in the northern Sweden town of Harads, the 4-star Treehotel offers guests a chance to bring their arboreal fantasies to life in an eco-friendly fashion. 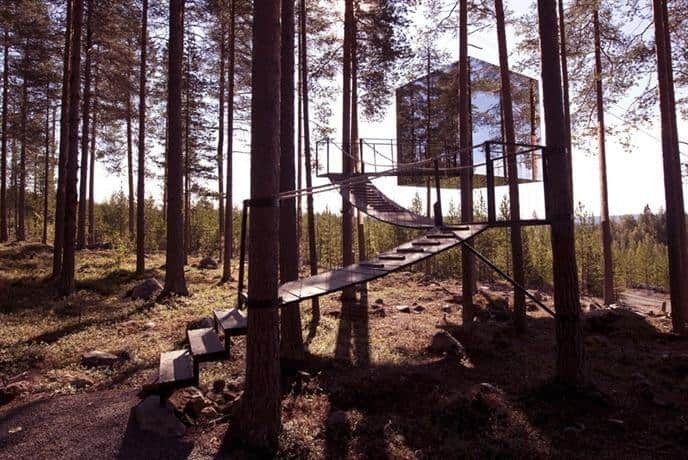 The hotel offers five distinctive treehouse-style rooms designed by some of Scandinavia’s most respected architects. Each is suspended 13 to 20 feet above the ground. One, the Mirrorcube, has earned international acclaim for its reflective exterior, which camouflages the room while offering guests stunning views of the surrounding old-growth pine forest. Each of the “treerooms” was built to have minimal impacts on their surroundings. No trees were damaged or destroyed during the hotel’s construction. All of the electricity is supplied by hydroelectric power, lighting is supplied by low-energy LED, and all bathrooms are water efficient. But there are also plenty of luxurious, modern touches. All rooms include free WiFi, heating, and coffee/tea makers. There’s a Jacuzzi, sauna, BBQ/picnic area, and on-site restaurant available to guests, as well as optional laundry and limousine services. Treehouses not really your thing? 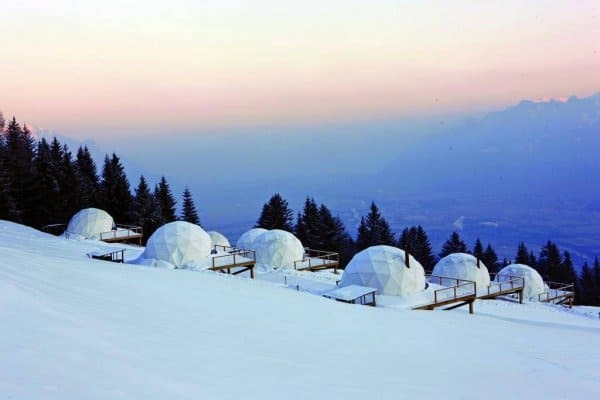 How about spending a night or two in an igloo on a Swiss hillside, located about 20 miles from Chamonix-Mont-Blanc? OK, so these aren’t igloos in the traditional Inuit sense– a house or hut made of snow. But this 5-star resort’s 15 “pod suites” are designed to look like luxurious igloos on the outside. On the inside? Picture posh king-size beds, natural wood walls and floors, chalet-style Swiss furniture, en suite bathrooms with large showers, private sauna, a pellet stove for heating (and setting the cozy mood). Modern conveniences include iPad Pro with Netflix, a Nespresso Coffee machine, and a bar with a selection of wines and vermouth. Outside the pods you’ll find huge terraces affording exceptional views of the Alps. There are also an array of activities on offer, from hiking, horseback riding, and mountain biking in summer to skiing and dog-sledding in winter.